The safety and security of your child is our number one priority at Hove Village. We believe that by creating a safe and secure environment, you will feel relaxed and confident in the care we provide and that your child will thrive within our Nursery. Our approach to safety and security is holistic; beginning at the front door and continuing right through to staff selection, training and, of course, security systems and safety procedures. The safe recruitment of staff is our primary focus. First and foremost, we choose people who genuinely love working with children. As many of us are parents ourselves, we understand the high level of trust required to hand your child over to other caregivers. Our staff undergo our stringent vetting process which includes Disclosure and Baring Service (DBS) checks at enhanced level. This screening is far more rigorous than standard DBS (formerly CRB) checks. Of course, prevention is always better than cure and we go to great lengths to keep our nursery and children safe at all times. However, children will naturally have knocks and bumps from time to time. The good news is that we always have a first aider on duty within the nursery at all times. All of our nursery staff receive training in Advanced Paediatric First Aid (Level 3 Ofqual regulated), so that urgent intervention is immediately on hand in the unlikely event of it being required. We employ the services of three in-house cleaners who operate outside of normal working hours so that the nursery is clean at the start of the day. We also have a Housekeeper during the day who helps to ensure cleanliness, sanitary and hygiene levels are tip top throughout the day. As well as this, our nursery staff clean and tidy up at regular intervals. 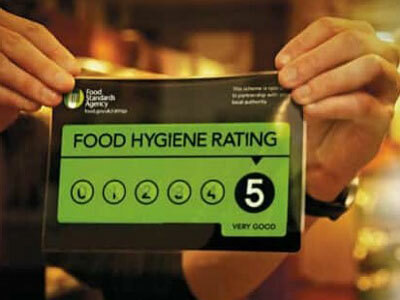 We are proud that the Food Standards Agency has consistently awarded Hove Village the maximum 5 Star rating for hygiene following our various inspections. Inside our classrooms, we have chosen to have high quality wooden floors throughout, which is easy to clean and thus very hygienic. Underneath our floors, a thick cushioned underlay has been laid, which helps to minimise the risk of injury during a fall or lively activities like dancing and physical activities. Safety has been further demonstrated in our lovely and spacious garden, where we have soft cushioned walkways and play areas, an all-weather artificial lawn and a decking area which has been treated with an anti-slip protective coating so that it doesn’t become hazardous when wet. Even the beautifully decorated fencing panels that surround our spacious garden have had their surfaces carefully sanded prior to being treated with weather protector. Read more about our outstanding nursery facilities. Like many nurseries, we have CCTV cameras both outside and within our premises, with cameras installed inside of each classroom. However, unlike other nurseries, and following specialist security advice, we have decided against providing the facility for parents to view our cameras over the Internet. Whist we fully appreciate the comfort, reassurance and joy watching your child at play can bring, our belief is that the security concerns of opening our cameras up in this way far outweigh the benefits. Although the companies that install parent-accessible CCTV systems into nurseries give many reassurances, using quotes such as “we use the same security as banks”, none of them can guarantee that a nursery’s CCTV system will not have its security compromised and thus be accessed by unauthorised persons. Besides, not even banks are immune from security breaches! Aside from the very real risk of a CCTV system being hacked into (http://www.bbc.co.uk/news/technology-30121159), there are many other risks to consider. Examples include parents of children who have left the Nursery not having their access to the CCTV revoked, people sharing passwords, computers being left unattended whilst logged into cameras, plus many other scenarios. By not opening our cameras up beyond our nursery network, security is much increased. Hove Village is very unique in that we don’t simply meet you at the door, take your child in and send you on your way, you are welcome to stay and get on with work in our Parents’ Lounge. Should you feel the need, you are more than welcome to privately observe your child at play in their classroom, on a CCTV monitor within the secure environment of the Nursery Manager’s office. We have installed one of the best Access Control Systems available, the same system that has been chosen by hospitals, schools, businesses (for example, Manchester United) and many other security conscious organisations. Our front door and gate have a video entry system that is linked to our manned reception and Nursery Manager’s office. We issue secure electronic smartcards to each staff member so that access to key areas of the building (e.g. secure doors that lead to the Nursery classrooms, offices, external doors etc.) are fully controlled. For the very same reasons you are required to use a PIN when withdrawing money from an ATM using your bank card, our staff are required to present their cards onto a secure reader (the ‘who are you?’) and then immediately enter a PIN (the 'prove it' stage). Although we have a strict requirement for staff to immediately notify management on losing or mislaying their security card (so it can be deactivated), our system means that even if a card is lost or stolen, it cannot be used without the associated PIN. Some nurseries have implemented biometric systems (e.g. fingerprint readers), which are sold by many of the same companies that install nursery CCTV systems, along with the same promises about security. Whilst they can indeed be very secure, only the most expensive and advanced systems can be fully relied upon. Whilst a false read of a fingerprint is likely to deny access to a genuine staff member or parent, it could also mean that an incorrect ‘successful’ read could potentially give access to an unauthorised person. All attempts to gain access to our Nursery building, as well as entry through secure doors are logged on our servers and potential security issues are monitored and acted upon. Our staff regularly attend training courses, in addition to the knowledge they gained during their childcare training. For example, all members of our team are trained in Fire Awareness and Safety. Senior members of our team also undergo Fire Warden/Marshall training in order to ensure a smooth evacuation of the premises in an emergency. General health and safety is taken very seriously and we take steps to make sure our nursery is safe and the equipment we have has been carefully chosen. All electrical equipment has annual PAT safety examinations and we have annual gas-safe inspections. Our in-house maintenance team also ensure day-to-day health and safety. Nurseries today maintain a great deal of sensitive information about children in their care. Photos, dates of birth, addresses, medical background etc. are all examples of the sensitive data a Nursery holds on children in its care. At Hove Village we take this very seriously. Whilst no organisation’s computer systems can be guaranteed to be 100% immune from security breaches, we have taken all of the steps within our power to ensure the protection of data within the nursery. We have installed highly secure wireless and cabled network, using some of the best available equipment from manufacturers such as Cisco Systems (the world leader in I.T. networks and security).